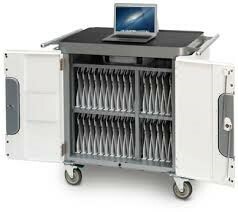 Home Blog Apple Mac Why Lease Your School's IT Equipment? Why Lease Your School's IT Equipment? It frees up your capital – when you lease your IT you don’t have to use your capital funds as a lump sum to purchase them, or upgrading at a later date. Being able to spread the cost enables you to use your funds elsewhere and payments can be deferred to suit your needs. It comes with technical support – you will have access to our technical support team throughout the period of your lease. Our technicians are trained to an extremely high standard with expert authorisation and knowledge on both Apple and PC platforms. We are available to assist you with synchronising and maintaining your devices from the moment they are delivered. Free training is available – if you or your staff require training on your Apple iPads or laptops, or need some advice on the best apps to use in education, one of our qualified trainers will come to your school and deliver a program of training – FREE of charge – which will be tailored to your needs. This can cover iPad basics, right through to specifics of education related apps, Once your trainer has visited you, they will continue to work closely with you in order to ensure your iPads are fully utilised in the classrooms. Accidental Damage Insurance – each lease to a school has specialist comprehensive insurance cover. This means that any Apple iPad or Windows device you have which is accidentally damaged, will be fixed or replaced at no cost to your school. It costs around £150 to repair the screen of an iPad which has been dropped, but with our insurance you are covered and will NO excess to pay. You get a full 3 year warranty as standard – all Apple iPads that you lease will come with a 3 year warranty so that you’re covered. Should you have an issue with an iPad, we will swap it for a replacement to ensure you have the minimum of down time at no additional cost to your budget. Renewal and Upgrade at the end of lease – at the end of our normal 3 year lease term we will provide you with the option to return the iPads you have and cancel the original lease, provided that you take out a new lease on the latest iPads. You can keep the original iPads if you choose to do so, however there is a small fee payable in order to do this. Here at HardSoft we offer operating leases to schools which are recommended by the Department for Education. When you choose to lease from HardSoft you will be benefiting from the experience an expertise of an IT company with 30 years of trading and dealing in finance. If you think that leasing IT equipment would make sense for your school, give our Head Office education team a call on 020 7111 1643, they will be happy to advise and arrange a quotation for you tailored to your requirements.